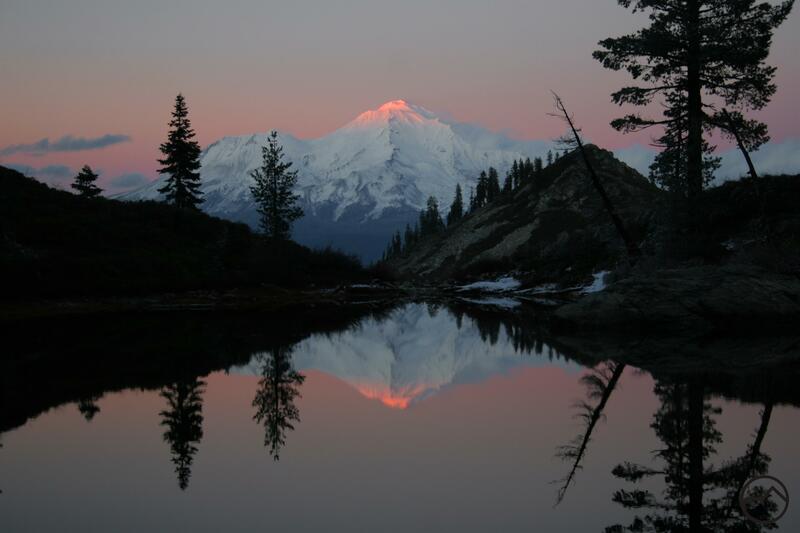 Although short, the Trinity Divide’s Heart Lake Trail is a titan when in terms of scenery and vistas. Few trails offer as much alpine terrain and tremendous vistas for such little effort. 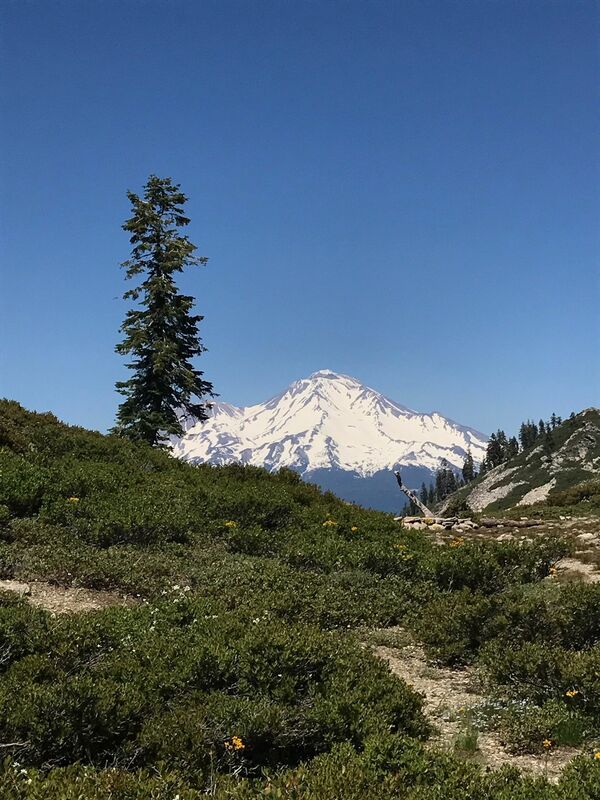 Beginning at the Castle Lake trailhead, a worthy destination in its own right, the trail climbs to a craggy bench high atop massive Castle Lake. There, nestled into the rocky cliffs hundreds of feet above Castle Lake is small Heart Lake. 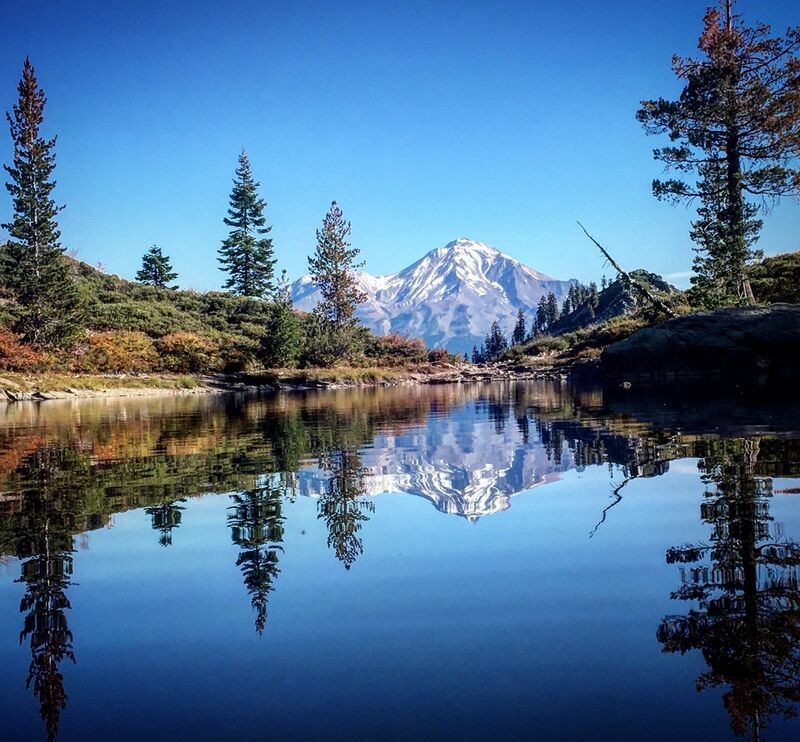 Though diminutive in size, the lake offers one of the finest views of mighty Mount Shasta. 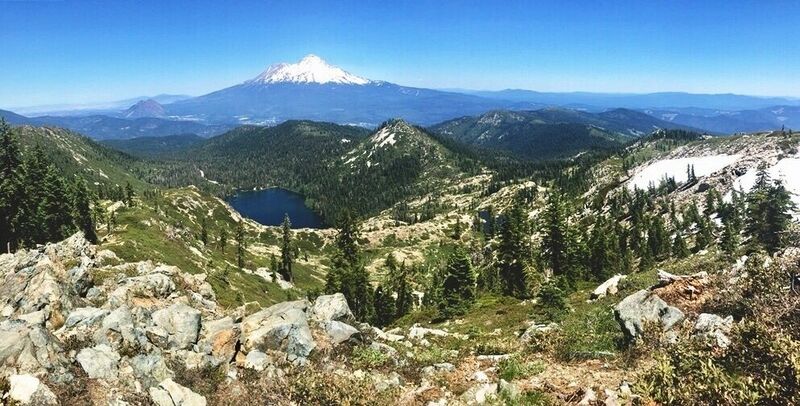 Directions: Follow signs to Castle Lake from the town of Mt Shasta. 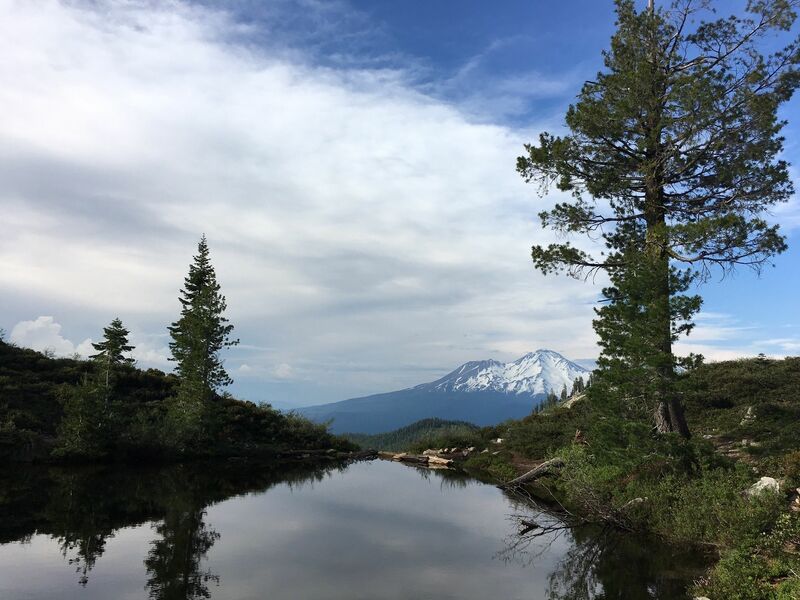 From Central Mt Shasta go west on Lake St, turn south on S Old Stage, Veer right at WA Barr Rd, cross Box Canyon Dam (Lake Siskiyou), turn left on the Castle Lake road shortly after the dam and follow the pavement to its end at Castle Lake.